The light kept getting better at the refuge. Sunlight became more abundant, inundating the pond and the birds floating on it. 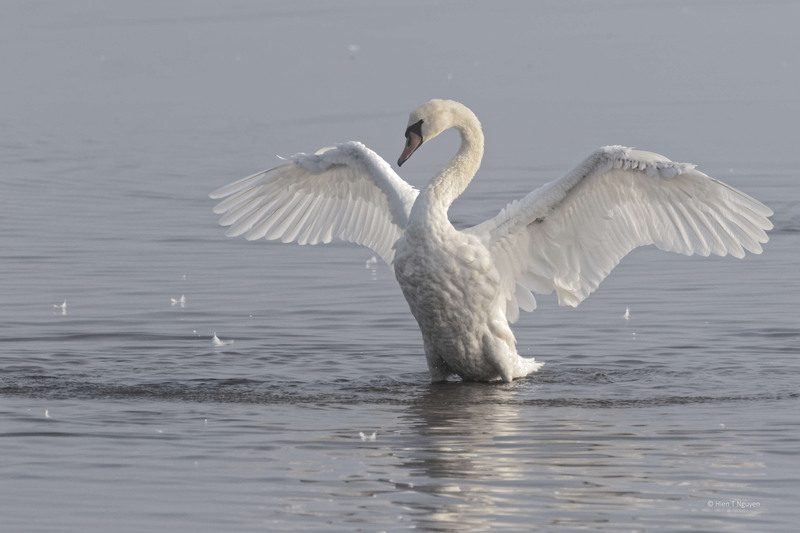 One swan was particularly exuberant, showing characteristics of an orchestra conductor. Beautiful action shots and narrative, Hien! Perfect!! That final photograph is fabulous! Thanks! 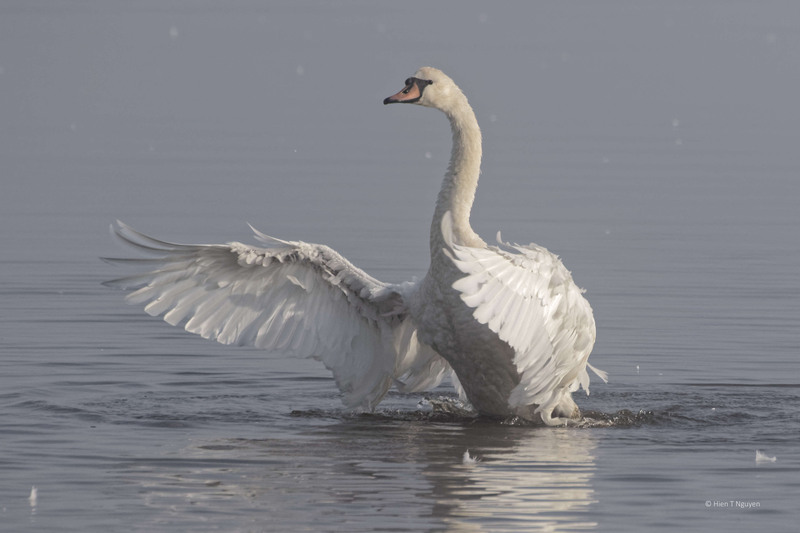 The swans were enjoying their baths! I will have to post some more similar ones. 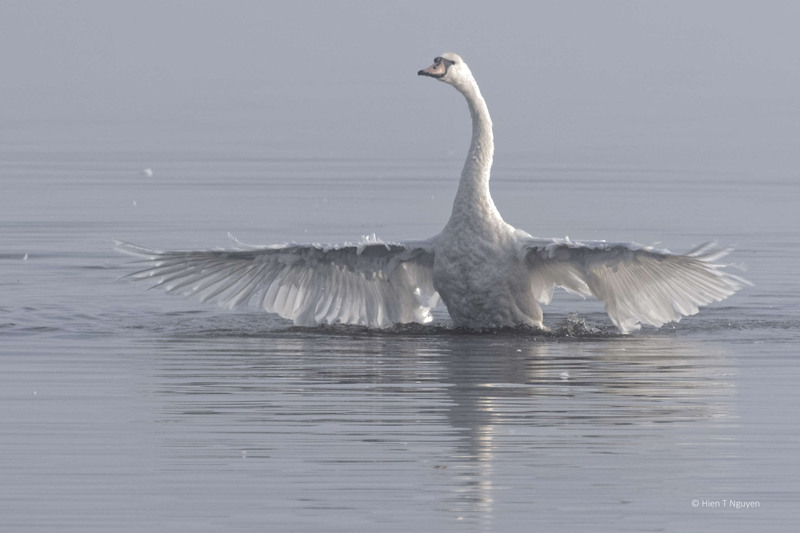 All of the images are great, but I really love the last one of the happy swan! Thanks Jerry! That last photo does show elation and happiness. I wish we could do the same as humans, at least once in a while. Thank you Mohamad! 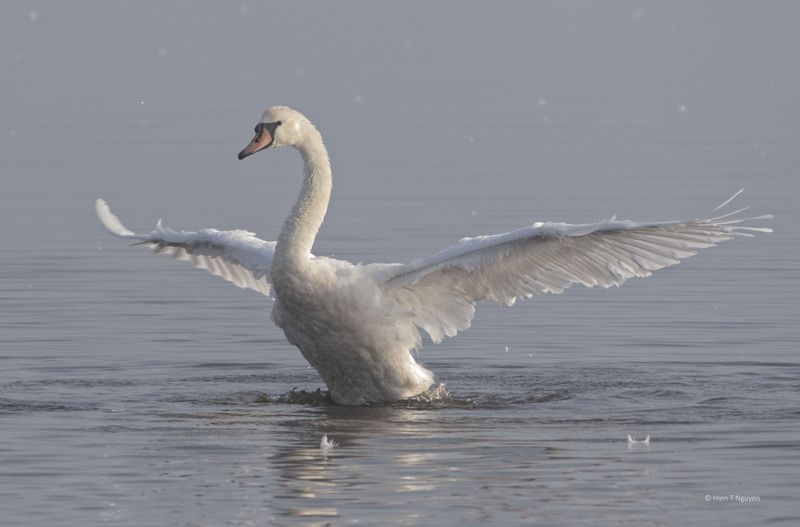 It was live, but the sound, the Swan Lake music, was in my head. 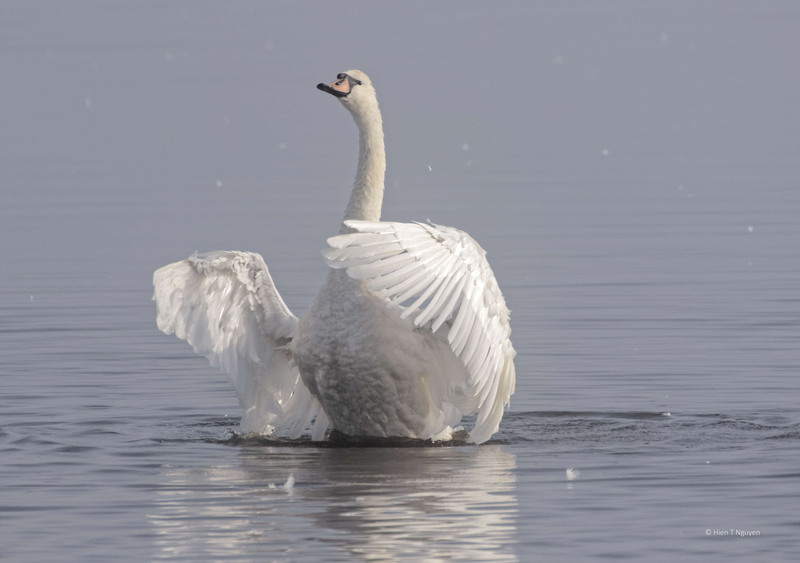 Just so graceful… Beautifully captured! Thank you Amy! 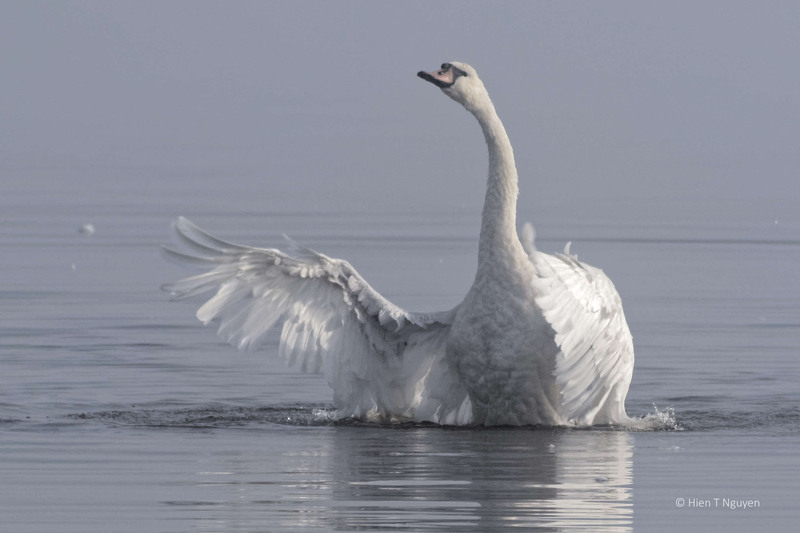 A while ago you also had some similar swan photos, and I liked them very much. Thank you very much Doda! One of the wonders that Nature offers us. Superbe ! 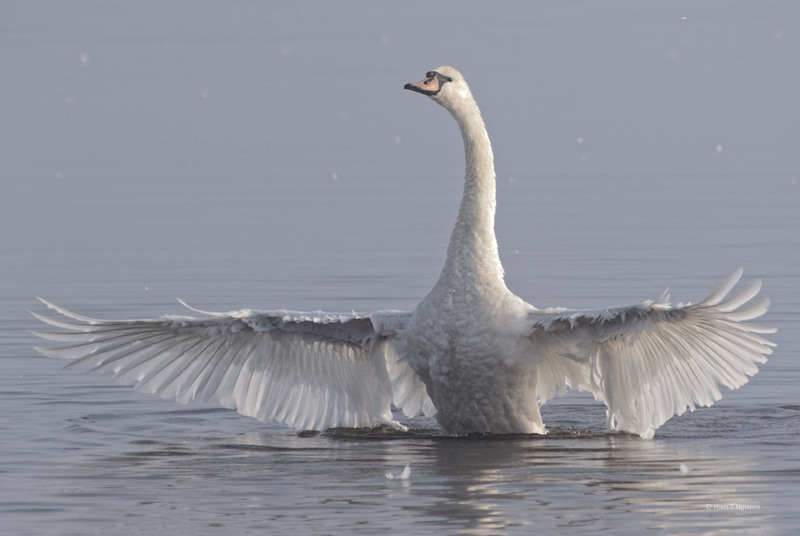 “Swan Lake”, danced and conducted by the Swan himself. And, thanks to you !, kept in brilliant photography. Thank you! 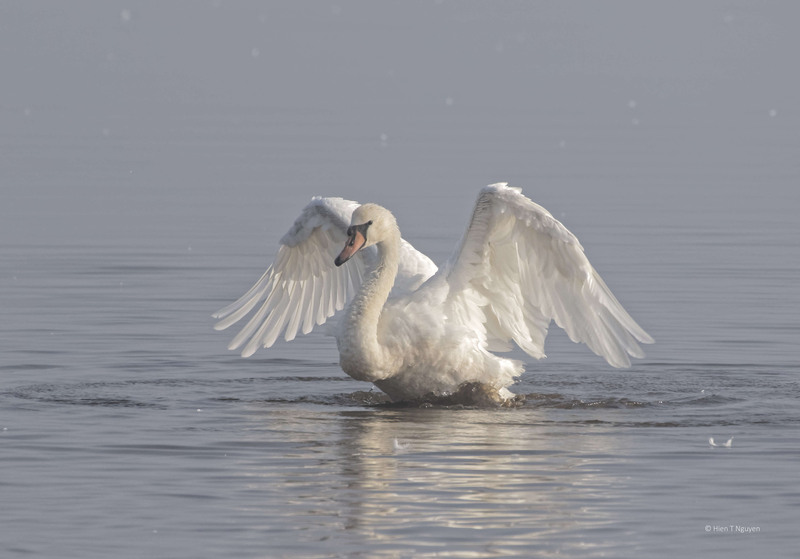 Yes, it was Swan Lake that I thought about as I took these photos. Perfection in the pictures and the story! Take a bow! He was conducting a beautiful melody. Indeed! Thank you for commenting. ..and the crowd goes wild! I do love this photo-story, Hien. 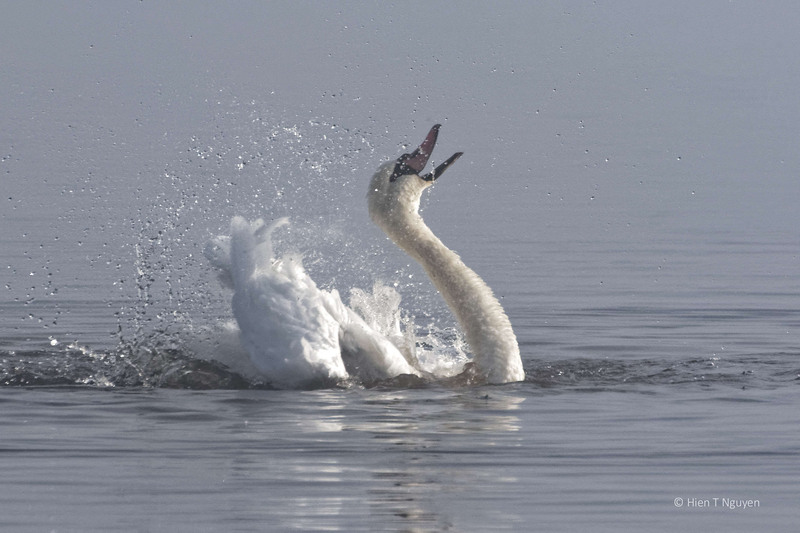 This swan really does look like it is conducting. Thank you Lois! When I first saw the photos on my computer, a conductor came to mind right away.